Merchandising, Get your Comic-Con Swag On! This will be our last preview post before San Diego Comic-Con 2014 officially kicks off and we can hardly contain our excitement. Since we’ve highlighted the parties & happenings (ahem, non-badge holders) and laid out a guide to must-see panels, it’s time to direct your attention to all the cool limited edition collectibles, ultra-sweet free promotional items and other merchandising opportunities. We’re going to break this down in alphabetical order by subject. Remember, we’ll be updating regularly so bookmark this page! Warner Brothers and Comic-Con have teamed up again, this time with 13 different designs! The Collectible Bags Double as a Backpack and Highlight Warner Bros. Television’s Arrow, Constantine, The Flash, The Following, Gotham, iZOMBIE, The Originals, The Vampire Diaries, Supernatural, Mike Tyson Mysteries and Teen Titans Go! Plus Two Totes Tout DC Comics’ Famed Caped Crusader, Batman — One Bag Celebrates the 75th Anniversary, the Other the Classic 1966 TV Series. A Limited Edition Soft Kitty Monopoly Piece, to be used in the upcoming Big Bang Theory Monopoly game. Better yet, it’s a FREE giveaway. See the Warner Bros Booth (#4545) for details. A list of Pop! 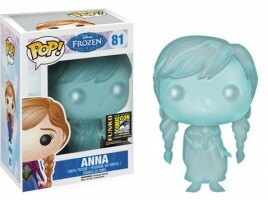 Vinyl exclusives has been announced including three options from Disney’s Frozen, a Disney mystery minis set (with multiple Cheshire Cat possibilities! ), a Game of Thrones mystery minis in-memorandum set (Comic-Con exclusive! ), two Breaking Bad characters and quite a few Ghostbusters items. See a full list here. Not attending Comic-Con you could win one of each of their exclusives by following Funko on Twitter, Facebook and Instagram. On Sunday, July 27th from 12:30pm – 1:30pm George R.R. Martin will be signing The Hedge Knight: The Graphic Novel & The Sworn Sword: The Graphic Novel published by Jet City Comics. There will be 200 copies of The Hedge Knight: The Graphic Novel available for free, first-come, first-serve. Signing will be limited to these two titles. ComiXology booth #2547. Throughout the entire five days of the ‘Con, MCPG will be doing various galley giveaways. Limited quantities (75 or 100) of each title will be given out first come, first serve style. Highlights include MY BIG FAT ZOMBIE GOLDFISH by Mo O’Hara (2pm on 7/27), THE ISLAND OF EXCESS LOVE by Francesca Lia Block (5pm on 7/26) and a sampler of THE FAIRYLAND SERIES (4pm on 7/25). See Booth #1117 for more details. Back by popular demand, Penguin Group (#4612) has created another exclusive Comic-Con Mad Libs and they are giving them away for FREE. It’s a great way to kill time waiting in the panel lines. 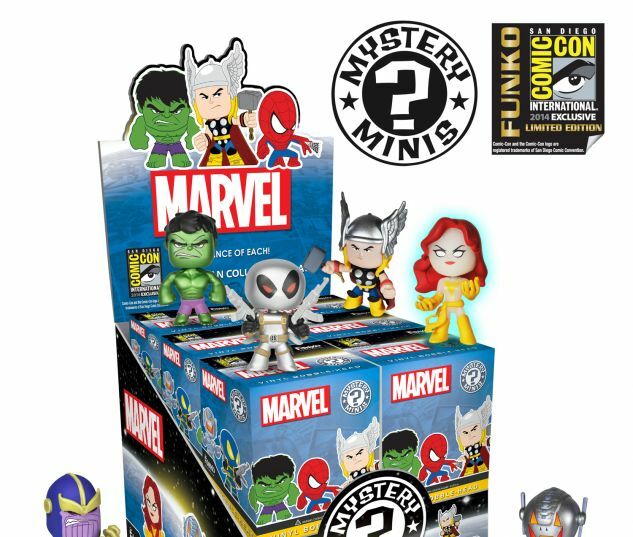 A SDCC Exclusive: Marvel Mystery Minis! The set will feature twelve special edition characters with new paints and sculpts. Characters include: Metallic Hulk, Hulk, Metallic X-Force Deadpool, Blue Deadpool, Deadpool, Thor, Glow in the Dark Phoenix, Phoenix, Spider-Man, Metallic Spider-Man, Thanos and Ultron. The rarity scale is 1/12. Mystery Minis will be available to purchase individually or as a complete set. Individual pieces will sell for $7.00. Full sets will sell for $84.00. Available in Funko’s booth #5343. A Funko Pop! Vinyl SDCC Exclusive: Flocked Rocket Raccoon – Flocked Rocket Raccoon is a super-stylized 3.75” Pop! Vinyl Figure Bobble-Head with flocking that comes in a window display box. Flocked Rocket Raccoon Pop! Vinyl Figure Bobble-Head will sell for $15.00. 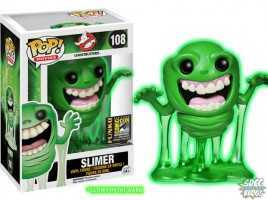 Available in Funko’s booth #5343. Stop by Booth #4248 on Sunday, July 27th to receive a free Fire Elemental figure (pictured below). The Shout! goodies don’t stop there though, you can grab a Scream Factory button pack or limited edition T-shirt, a custom MY LITTLE PONY: EQUESTRIA GIRLS – RAINBOW ROCKS poster tube when you grab a poster and more. Simon & Schuster (Booth #1128) will have a number of Star Trek giveaways, starting with the Star Trek: Destiny #1: Gods of Night giveaway (Wednesday, 7/23), Star Trek: The Original Series: No Time Like the Past giveaway (Thursday, 7/24), and Star Trek: Vanguard: Declassified giveaway (Friday, 7/25). ThinkGeek (Booth #3849) is showcasing The Wand Company’s Phaser Universal Remote, Star Trek: The Original Series Uniform Hoodies and Star Trek: The Next Generation Wesley Crusher Hoodies. The booth will also sell an array of Star Trek products. MTV commissioned artist Swann Smith to illustrate a limited edition bestiary that serves as a full guide to the creatures of Beacon Hills. The bestiary will be distributed for free throughout the weekend and Swann will be on hand signing copies at the Teen Wolf booth (#3729). Our ’90s half-shelled heroes are back in their full Jim Henson Productions glory. Entertainment Earth (#2343) will be selling new action figures designed off the original series. Woohoo! 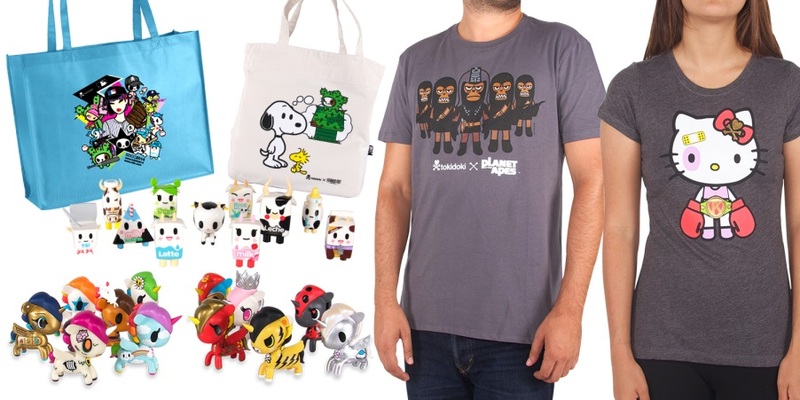 tokidoki will unveil limited-edition product exclusives including tees and hats as well as a 5” Golden Donutella vinyl for $30.00 and a tote bag, made exclusively for Comic-Con, featuring a tokidoki x Peanuts design for $15.00. All apparel and hats will be priced between $20.00 and $30.00. BONUS: Come by the booth (#5145), first thing each morning, to grab one of 60 signing passes to and meet co-founder and creative director Simone Lengo.